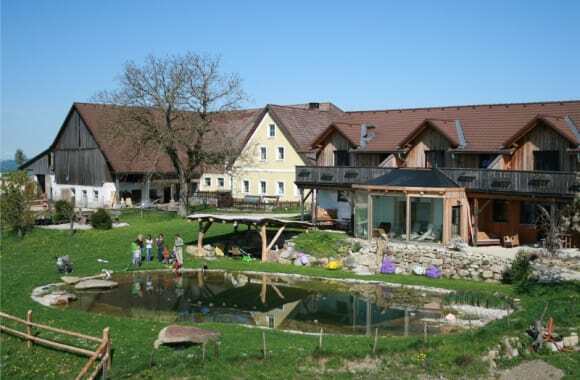 Our cosy organic farm, boasting a family-oriented atmosphere, is located in a peaceful and sunny location and is easily accessible both in summer and winter. Our spacious and well-equipped holiday apartments promise beautiful panoramic views of the mountains, complete peace and relaxation. There are several opportunities for entertainment such interacting with the animals, swimming in our in-house pond and children's pool and travelling with the Go-card. 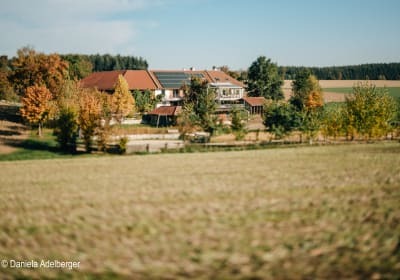 The farm also offers 4 e-bikes to rent. Camping options available for 4 persons . 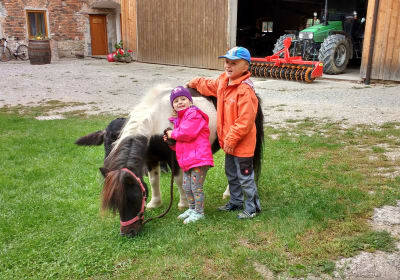 Farm characteristics: Baking bread in the 400-year old wood-fired oven, jumping around in the hay, tractor rides with the farmer and much much more. If you want to just relax, we have a sauna, relaxation room, hot tubs and Kneipp baths. 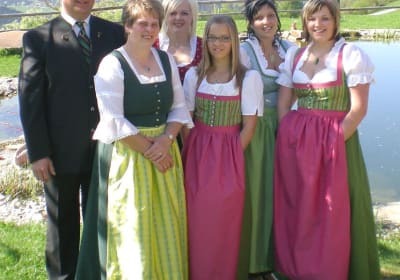 Our farmhouse, located close to the town Waidhofen an der Ybbs, boasts well-equipped holiday apartments featuring kitchen, bath, WC and central heating. Accessible throughout Winter! Walks through stunning winter landscape, family-friendly ski region, cross-country ski runs located 6 km away. Ski region FORSTERALM (10 km) features a 4-seater chair lift snow cannon. 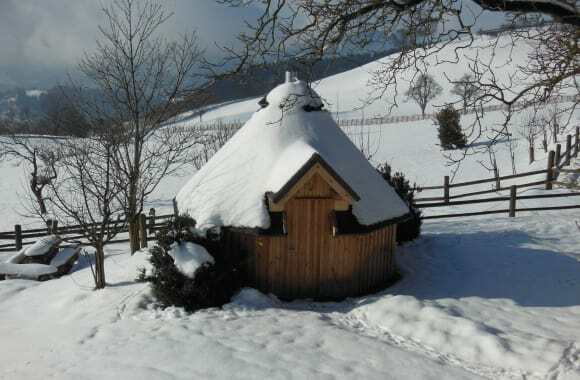 Farm characteristics: Ice skating on the swimming pond, sledging and bobsleighing on the snowy slopes. 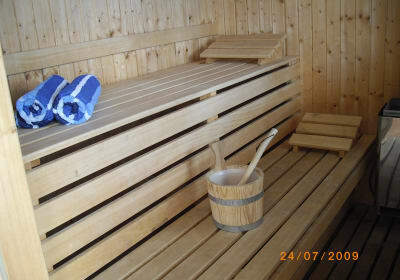 If it is very cold outside, guests can warm themselves up in the sauna and spa area. Schnapps, Austrian cider, milk, eggs, apple juice, farmhouse bread. The apartment features two double rooms and a walk-in closet, two shower/WC, kitchen and satellite TV . 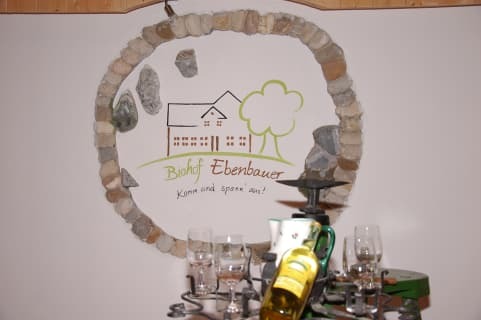 It also boasts a terrace with a view of the Alpine foothills and a balcony facing the Sonntagberg. 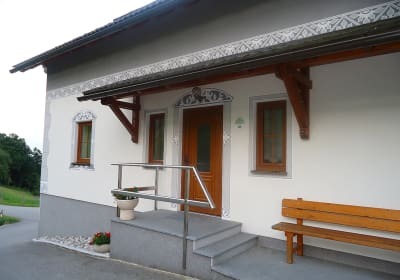 The apartment features a double room and a walk-in closet, shower/WC, kitchen with electric cooker, dishwasher, freezer and fridge and satellite TV and a 15m² terrace with a view of the Ybbstal.